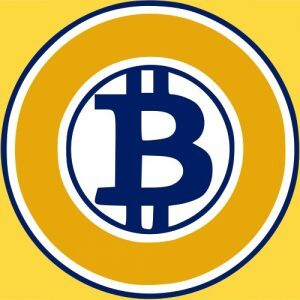 Home B What is Bitcoin Gold (BTG)? Bitcoin Gold is another fork (clone) of the main Bitcoin cryptocurrency. Developed & released in November 2017, this coin was designed to redesign the core Bitcoin mining network by removing the need for very high powered systems (known as Application-specific integrated circuit chips (ASICs) — bitcoin mining hardware created solely to solve Bitcoin blocks). As the trading volume and price of Bitcoin has risen (sharply), so have the problems with its mining (processing) network. To put the issue into perspective, the Bitcoin infrastructure can process approximately 10 transactions per second. Visa and Mastercard (both considered direct competitors to Bitcoin) are averaging 1,700 per second with capacity for 24,000. The reason why Bitcoin has such slow processing times is basically down to its main attribute — the decentralized nature of the system. Because it relies on a global network of miners whose job is to calculate the next “blocks” to add to the Bitcoin blockchain database, any updates to the system has to not only be calculated by these systems, but then ratified by the entire network (which takes time). To compound this problem, you have the exponential difficulty problem with many cryptocurrencies – especially Bitcoin. That is, whenever a miner is able to successfully calculate a new hash for the next block on the chain – they’re rewarded with some Bitcoins. These coins might not mean a lot, but essentially determine how many people will be willing to commit computing resource to the task of solving the next Bitcoin block. The issue is that the Bitcoin algorithm has specifically set a limit of 21 million coins to EVER be produced, thus meaning that in order to earn new coins, the bitcoin miners have to solve increasingly greater problems. This is not only slowing down the network, but preventing a lot of smaller transactions from being processed correctly – leading to a potential bug in the system. It’s important to consider several important facts. Firstly, Bitcoin Gold is pretty much Bitcoin with some tweaks. It is a fork of the original cryptocurrency, which basically means that the developers have taken all the code, duplicated it and added their own functionality. Secondly, the Bitcoin Gold fork is not meant as a competitor to the original Bitcoin cryptocurrency but a complement. In other words, the system was meant as a proposal to the community about a way to solve a particular problem with the main Bitcoin network (specifically the processing times). By far the biggest feature of the BTG fork is the return to the GPU hardware model. To give context, whenever you mine a crypto coin, what you’re doing is making your computer calculate the hash for the next block on the chain. This basically means that ALL the previous blocks have to be encrypted (hashed) into a new set of data which is compiled into the Bitcoin blockchain file. Check Out Also: What is BitShares (BTS)? Considering the BTC blockchain file is currently 100GB big (which ALL has to be calculated into a hash each time a new block of transactions is added), someone invented the ASIC (Application Specific Integrated Circuits) which surpassed GPU’s as the most effective hashing calculators. As the difficulty problem of calculating new Bitcoin block has increased exponentially, so has the need for hashing power. As such, it’s priced most hobby miners out of the market, leading the market to become completely focused on ASIC hashing. This has slowed down the processing times for Bitcoin dramatically. BTG proposed removing ASIC hardware from the equation entirely, allowing everyday users to get involved with the hashing process again (thus opening the processing market massively). The benefit of GPU lead mining is that since everyday systems can be used to process the Bitcoin blockchain database. This means that it can fix the processing problem that’s plagued the Bitcoin market for well over a year now, allowing users to access their transactions much quicker than before. The team behind BTG are a group of multi-national team of professionals, most of which joined shortly after it was launched. Indeed, the first proponent of the idea of a solution to the Bitcoin mining (processing) problem was Hong Kong-based Jack Liao (CEO of LightningAsic CEO)… an outspoken critic of the state of bitcoin mining (slow processing times etc). His company sells mining equipment, including GPUs, to people who wish to try and earn Bitcoins by letting their computing infrastructure calculate the new blocks for the Bitcoin blockchain database. The problem facing many miners – especially with the exponential difficulty problem – has been that they’ve been unable to both process the transactions quickly enough and have actually ended up running out processing power (hence the move from mining pools to cloud mining etc). The idea of Bitcoin Gold was meant to bring the cost of mining down, opening up the system to people who don’t have super high-powered systems. This would not only increase the processing speed, but also enlarge the overall network size, allowing for more transactions to be handled at once. Although the fork was successful, the issue is that the group developing the system are small and lack the resources, or central direction, of the likes of Ripple. This makes the likelihood for its long-term success relatively low. The primary reason why Bitcoin Gold exists is to relieve pressure on the central Bitcoin mining system. Bitcoin Gold is a community-led project to create an experimental hard fork of Bitcoin to a new proof-of-work algorithm. The purpose for doing this is to make Bitcoin mining decentralized again. A more decentralized, democratic mining infrastructure is more resilient and more in line with Satoshi’s original vision. Perhaps, if the Bitcoin Gold experiment is judged by the community to be a success, it may one day help build consensus for a proof-of-work hard fork on Bitcoin itself. Check Out Also: What is Bytecoin (BCN)? 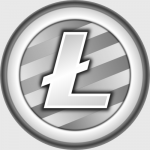 After its debut in 2017, the currency quickly rose through the ranks to number 8 in CoinMarketCap. This – honestly – is not surprising. All the Bitcoin forks have experienced similar growth – often built off the back of the popularity of the Bitcoin cryptocurrency price itself. The point is that whilst Bitcoin Gold is a completely independent development to Bitcoin (presently anyway). This means that whilst the original surge in its price & market cap was basically due to its involvement with the Bitcoin infrastructure (every BTC owner automatically got BTG). Thus, when considering the trajectory of the currency, what you’re really looking at is the same people who are using Bitcoin just switching to a different protocol. Whilst their transactions won’t be part of the central Bitcoin blockchain, the added benefits developed for BTG – including faster processing and better options for storage. The main reason why Bitcoin Gold was created was to relieve the main Bitcoin processing network, which basically means that the transactions in the gold branch are meant to be larger in value and lower in volume (much like how gold is treated as a commodity). If you are looking to buy a cryptocurrency, the main mover is still Bitcoin. Most in the BTC community have disregarded BTG because of its close ties to the main Bitcoin currency. Of course, this isn’t an endorsement as we are highly bearish on some of the current cryptocurrencies. Out of the current landscape, few will survive to be taken up into some sort of infrastructure arrangement with a company designed to make them work. 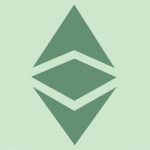 What is Ethereum Classic (ETC)? Note: We will be adding few cryptocurrencies at a time until we completely (hopefully) list all available cryptocurrencies for your reference. 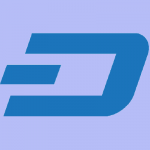 But we also need your help and support in updating every cryptocurrencies on our lists. If you think there are misinformation on the articles or you want to add updates and recent developments about a particular cryptocurrency, please do leave a comment or contact us privately. Thank you. © QoinBook All Rights Reserved.